Flap Jacket Press, 9780979159305, 353pp. Look into the lace? When the eyes begin to fill with tears and the patience is long exhausted, there will appear a glimpse of something not quite seen... In this moment, an image will begin to form? in the space between what is real and what is only imagined. Can you read your future in a piece of lace? All of the Whitney women can. But the last time Towner read, it killed her sister and nearly robbed Towner of her own sanity. 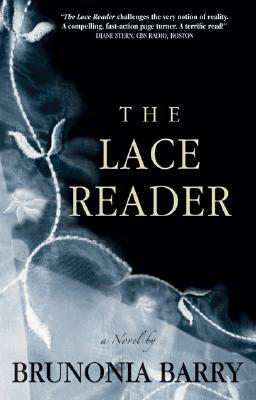 Vowing never to read lace again, her resolve is tested when faced with the mysterious, unsolvable disappearance of her beloved Great Aunt Eva, Salem's original Lace Reader. Told from opposing and often unreliable perspectives, the story engages the reader's own beliefs. Should we listen to Towner, who may be losing her mind for the second time? Or should we believe John Rafferty, a no nonsense New York detective, who ran away from the city to a simpler place only to find himself inextricably involved in a psychic tug of war with all three generations of Whitney women? Does either have the whole story? Or does the truth lie somewhere in the swirling pattern of the lace?